Create your very own Super Mario Bros. level! 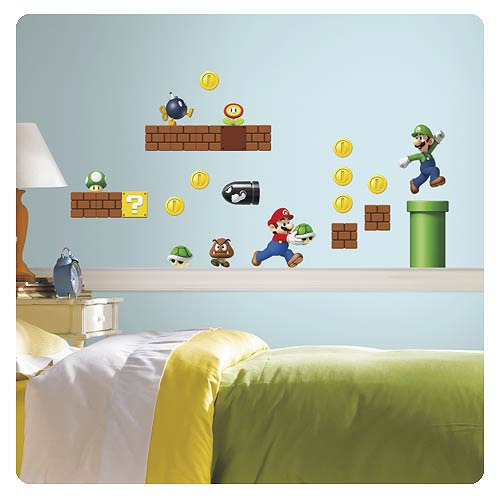 These characters, coins, blocks, and additional accents will give you everything you need to make a cool Mario scene in your child's bedroom or game room. The decals are removable and repositionable, and can be safely applied to - and removed from - any smooth surface over and over again. A must-have for Nintendo fans! Ages 10 and up.